Houzz 35 of our visitors have told a friend about this plan. 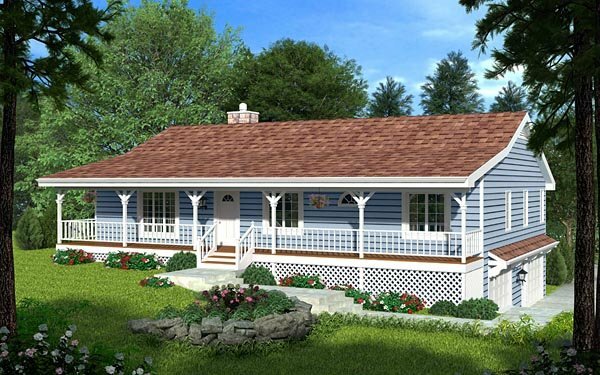 This economical ranch design can live happily along the coast or curbside in your favorite town. Beautiful decorative beams and slope ceilings enhance the interior. The 1,792 sq. ft. floor plan makes the most of available space and light. The large, open-style living room hosts a great stone fireplace which shares its warmth with both the corner kitchen and dining areas. A huge deck draws folks outside. 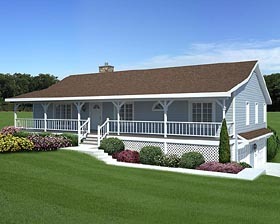 The far side of the house embraces the master suite, its roomy walk-in closet and windowed bath. Bedrooms #2 and #3 border a shared bath while each enjoys their own view of the country-style front porch. 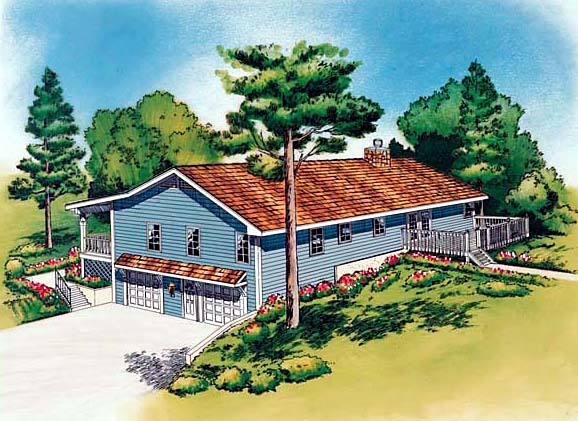 The basement foundation allows for a sloping lot configuration. 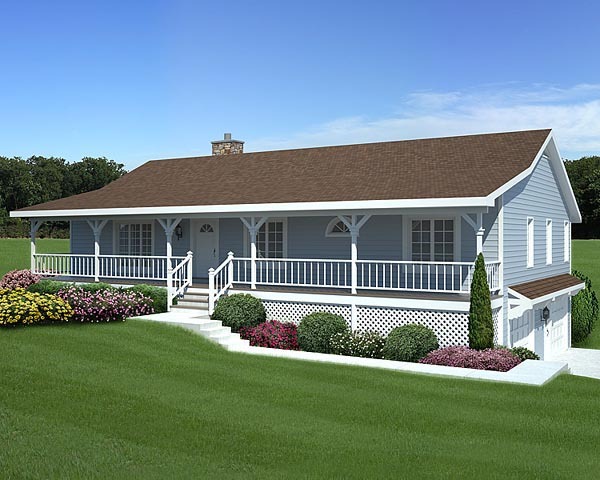 For the same plan with a crawlspace or slab foundation, see plan 20227.